A friend recently inspired me to watch the film Kumare (available on Amazon Instant Video) and I found it to be delightful. The film-maker, an American named Vikram who was born in New Jersey to a Hindu family from India (but had long-ago wandered away from the faith of his parents), decides to see if he can pass himself off as an enlightened guru from India. He does so convincingly and attracts a following of disciples. Vikram, now going by the name Kumare, finds that his cynicism is unexpectedly transformed as earnest spiritual seekers place their trust in him and he feels affection and responsibility to them. He comes to realize that the swami he is pretending to be is actually his "best self" that he has always aspired to be like--focused on others, caring, listening, giving and living a simple life. He sets out to teach his disciples that they are their own "gurus" and don't need a "holy man" to tell them what they already inwardly know. But how will they react when he reveals to them that he is a fraud? Although the setting is in the world of New Age and Eastern religion, there were archetypes here that I recognized from my own experiences in the Charismatic Christian world (where there are, no doubt, phonies as well). 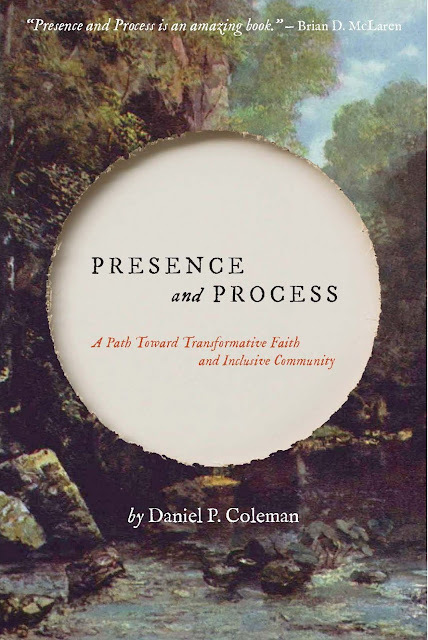 It also resonates well with many Quaker themes, such as seeing "that of God" in everyone; and that God is able to teach people directly and inwardly; and that we are all God's ministers to one another. Thought provoking and endearing and challenging and, at the climax, a bit uncomfortable; I recommend this film. Also, Erik Davis has written an interesting piece in Aeon Magazine about the film and the greater issue of "Guru Tricksters."